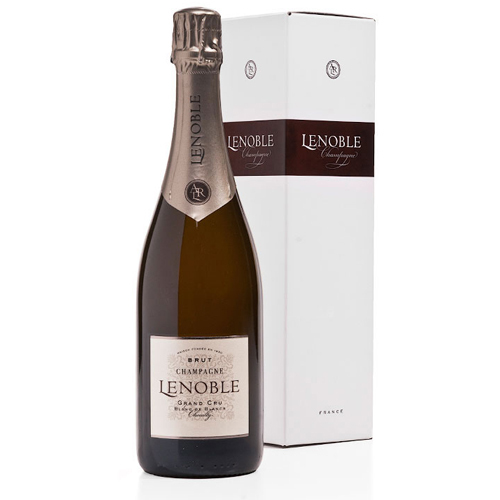 The freshness and vinous character of this Champagne make it a wonderful aperitif. 100% Chardonnay Grand Cru from Chouilly, located on the Côte des Blancs. This cuvée is a tribute to the most elegant of all the Champagne grape varieties. 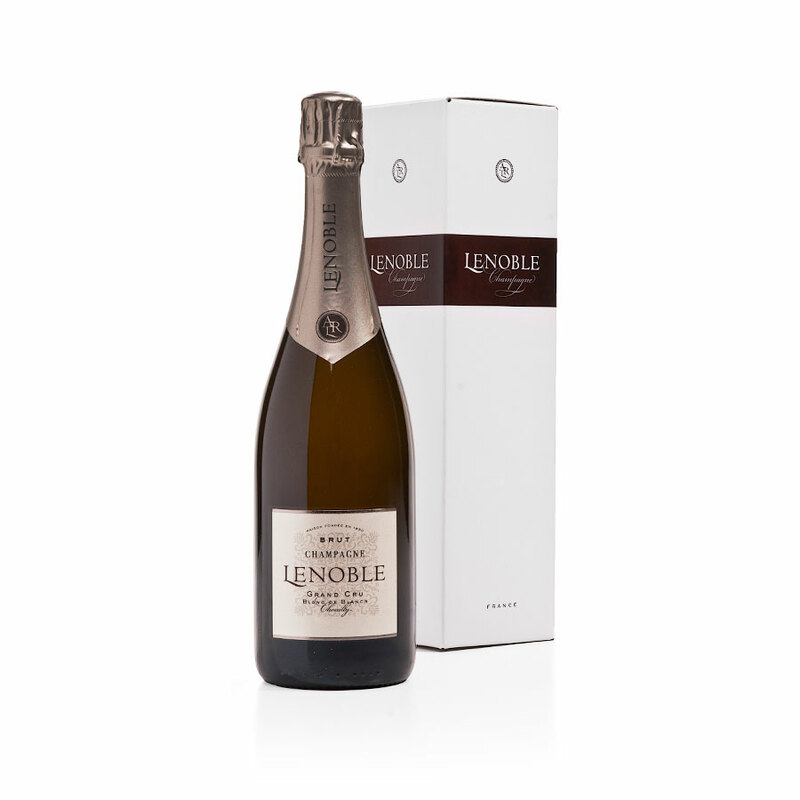 A wonderful Champagne (0.75 L) in a white gift box. 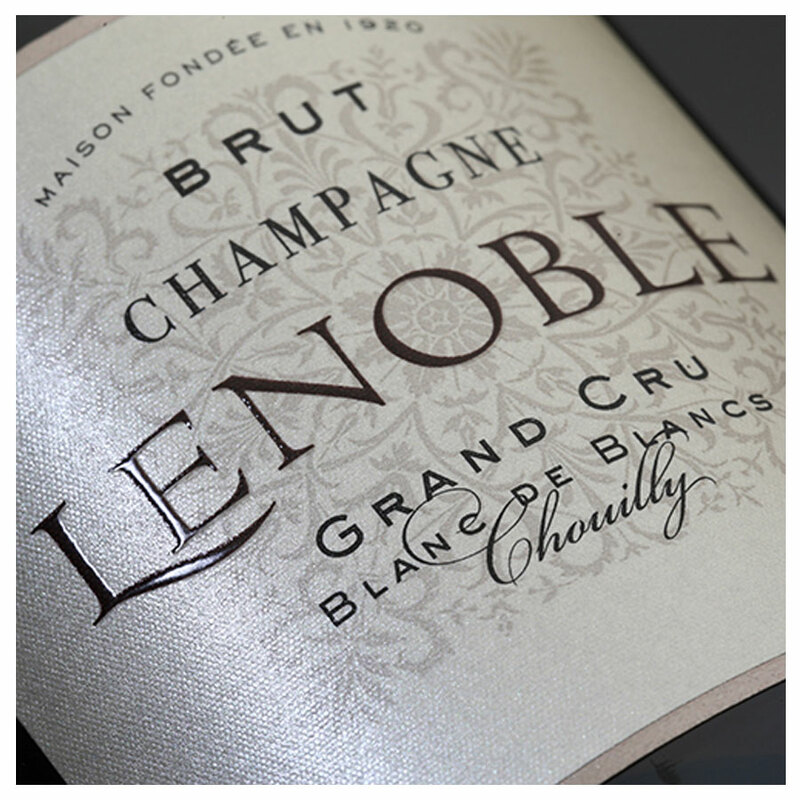 Lenoble Chamapgne Grand Cru Blanc de Blanc is the 2010 winner of the prestigous Concours De Bruxelles. An original single-cru, single-variety and single-year champagne which breaks with the tradition of blending champagnes. The expression of an excellent year, the greatness of the Chardonnay, and the distinctiveness of one of the most famous areas in Champagne.